Following the persistent worry over the continued interception of duly released consignments from the nation’s ports by the operatives of the Federal Operations Unit (FOU) Zone A Ikeja, Lagos as against the directive of the Comptroller General of Customs, the Unit has said that as against the usual mounting of road blocks, it now intercept consignment on the road when there is need. 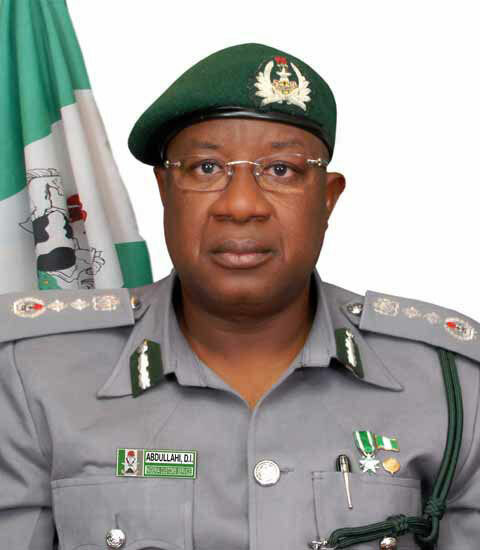 You may recall that during a town hall meeting between the Comptroller General of Customs, Dr. Dikko Inde Abdullahi and the importers at the Trade Fair Complex, Lagos on the wake of the takeover of the Destination Inspection Scheme and the launch of the Pre- Arrival Assessment Report (PAAR), Dr. Adullahi stated that with the introduction of the PAAR, customs would no longer intercept goods duly released from the ports as according to him,” Customs cannot release and customs cannot stop”. But in what seemed to be a brazen contravention of that directive by the Customs helmsman, freight forwarders and importers still allege of continued interception of their duly cleared and released consignment by men of the Federal Operations Unit on the nation’s highway. Speaking to Primetime Reporters on the Matter, the Public Relations Officer of the FOU Zone A, Uche Ejesieme denied insinuations in some quarters that the Unit was contravening the directive of the CGC adding that the unit instead was compliant with the directive. He disclosed that what the Unit does from time to time was to employ the concept of Cargo selectivity in order to trace consignments that were believed to have shortchanged the government one way or the other. Ejesieme noted that once the unit had information that a co9nsignment had escaped the eagle eyes of the officers at the seaports, would swing into action immediately to remedy the situation and that once the case was treated would retire back to the office saying that the unit had through series of interventions recovered for the government billions of naira that would have been lost to the fraudsters. According to him,” come to think of it, who are we to toy with the CGC’s directive because even when the issue came up, the CGC summoned all the Controllers to Abuja and it was like a marching order to all of them and I can tell you and I can confirm to you that we are complying with that”. “The only thing we do once in a while is to employ the concept of risk Management or if you like call it cargo selectivity to track the consignment we believed that shortchanged the government. If we remain in the office here and we hear that a consignment for reasons whatsoever has been able to evade the regale eyes of the officers at the seaports, you cannot expect us to sit here in the office and fold our arms because ultimately, what we are trying to do is to make sure that all kobo s that are accruable to the government is actually paid to the government”, he said. The Customs Spokesman opined that the era of the operative of the unit mounting road blocks on the highways were over challenging the public not to hesitate to bring to their notice any officer of the unit who went ahead mounting road blocks and that the officer so reported would be sanctioned in line with the laid rules of the service. On the fate of the goods often seized by the service at different times and locations, he blamed the journalists for not taking advantage of the freedom of information Act to do a follow up story on the seized goods with the aim of getting the public to know of what become of those goods at the end of the day. He however said that while the onus lies on the Customs to make seizures as well as make arrests in connection with the seized goods, it lies on the court of the land to determine what becomes of the seized goods at the end of the day. He revealed that as soon as seizures were made, the legal department of the customs which is headed by a legal personnel would prepare a case file and as soon as the case file is ready, the seized goods alongside the arrested suspects if any are charged to court which then determines what becomes of the goods and the suspects so charged. “There is a procedure, our job first of all as customs officers is to make seizures and as soon as we make seizures, we have a legal department. The legal department of customs is always headed by trained lawyers, they prepare a case file and if there are suspects, the suspects are charged to court. The rest of the matter is dependent on the judiciary”. “So we are not judicial officers, our own is to make sure that we package them and send them to court from there, whatever the court decides is actually beyond the customs. The Onus lies on the courts to take final decision”, Ejesieme said.